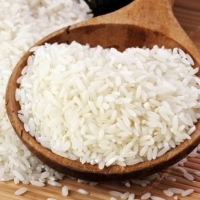 Browse 1121-basmati-rice suppliers by country and region. Type : Steam Length : 8.35 mm Moisture: 13% Crop : New Broken: Max. 1% Max. Basmati rice and non basmati rice. Short on time? Let 1121-basmati-rice sellers contact you. Basmati Rice, 1121 Extra Long Grain Basmati. Premium 1121 basmati rice exporter in India supplying premium grade 1121 Basmati Rice. This extra-long grain basmati rice is the specialty food that has an exceptional taste, extra-long slender edgy shape and a fragrance that will simply overcome the perception of an entity enjoying a meal. Extra-long grain 1121 basmati rice is with no doubt the ultra-superior quality that once cooked has separate grains. The primary specifications entail moisture level between 11.9% to 12.85%, Silky Polish, Extra Well Milled and Colour Sorted, our 1121 Basmati Rice is supplied to high class cuisines, restaurants, hotels, resorts, airline kitchens, retail stores, catering companies, supermarket and hypermarkets and ships cruises. Properties: Long and elegantly thin Delectable tastes Non-sticky texture after cooking Fragrant aroma Bright color Nutrient Value: High carbohydrate content Starch Rich in vitamins Provides energy Specification : Nature Moisture Content 13.0% Max. Average Grain Length 8.0 - 8.2 MM Polishing Grade Double Silky Polished Damaged, Shrivelled & Yellow 1.5% Max. Broken Grains 2% Max. Chalky Grains 3.0% Max. Contrasting Varieties 7.0% Max. Foreign Grains 0.2% Max. Foreign Matter 0.1% Max. Paddy Grain 0.2% Max. Under-milled & Red-striped 2.0% Max. Milling Grades Available White 1121 Basmati RiceSella 1121 Basmati Rice Shape of Grain Transit Time & Freight Payment terms: Buyers may choose from 100% L/C at Sight (Confirmed) - OR -25% Advance + 75% Balance payable immediately upon submission of documents by email. Delivery within 12 working days from receipt of workable payment instrument. We use only premium shipping lines with shorter transit times for all our shipment. Other shipping lines as per customer's request. All empty containers are verified by us to make sure they are in excellent sea-worthy conditions. Marking Each bag shall be marked legibly and indelibly or a label shall be attached to the bag, with the following information: Name of produce. The name shall designate the type of rice (e.g. milled rice, husked rice, etc); Year of harvest; Net mass in kilograms; Country of origin and; Name and address of the producer or trader. Bulk consignment shall be accompanied by documents declaring the information above for Marking. Shelf Life Should have at least 2 years remaining shelf life depending upon standard storage condition by user. We Export 1121 Golden sella basmati rice directly from the Mills. We assure the best quality & prices with timely delivery to our buyer to any part of the world. Basmati rice, onion, 1121, 1509, 1121 rice, 1509 rice, IR 64 rice, IR 64 parboiled, wheat, rice, corn, beans, cereals, wheat flour, non basmati rice, broken rice, 100% broken rice, 5 % broken rice, 2 % broken rice, PR 11, steam rice, sella rice, white rice,Long Grain Rice. Wheat flour, rice like 1121 golden sella, 1121 steam, 1121 white sella, basmati, sona masoori rice, lamb, goat, livestock. 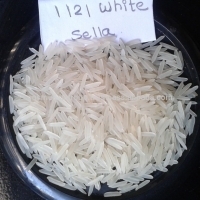 We Export 1121 White sella basmati rice directly from the Mills. We assure the best quality & prices with timely delivery to our buyer to any part of the world. 100% pure 1121 basmati rice, pusa basmati rice, yellow corn, sesame seeds, soybean, barley, wheat flour, guar gum, spices like black pepper, cardamom, peanut, fabric like cotton, polyester. Ir 8 raw rice and ir 8 parboiled rice : Ir-8 is semi dwarf rice, mostly cultivated & milled in gujarat region of india. 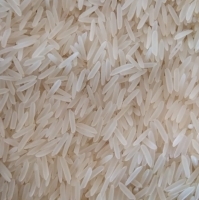 It was a cross of a high yield rice variety from indonesia, peta, and a dwarf variety from china Price of product ( usd price or fob price) : 410/- to 425/- Product origin : india Specifications : Average length: 5.80 mm, moisture: 14%, broken %: 5%, damage/discolor: less than 1% (max), purity: 93%.Inspection: sgs (or) any other agency as per your requirement for weight and quality as standard operating procedure, quantity: 20 feet container with load ability of 24 tons, port of loading: india, port of discharge: to any port as per requirements, shipment terms: fob/cfr/cif inco terms 2010 as needed by the customer to their port of choice, mode of payment: tt (20% & balance on copy documents / cad through bank), lc, delivery to port of discharge: would be advised as this is a case to case basis but generally 30 - 40 days from the date of receipt of confirmed payment instrument (l/c documents or advance payment). Minimum order size and packgaing details : Minimum order size: 1 fcl 20’..Packing: in 8 x 5 kg, 4 x 10 kg, 1 / 2 x 20 kg, 1 x 25 kg, 1 x 30 – 45 kg or 1 x 50 kg new bopp, pp laminate non-woven fabric, pp standard bags Remarks : As rice is a agro commodity and its price is based on several factors e.G demand & supply, harvesting season etc. Thus the price is very volatile and is subject to change every 24 hours…therefore the price brackets given here are indicative. Ir 64 Raw Rice And Ir 64 Parboiled Rice: Ir-64 is long grain rice, mostly cultivated in some parts of south and central region of india. Ir-64 is a medium grain rice and is a good medium for daily consumption Price of product ( usd price or fob price) : 425/- to 440/- and 410/- to 425/ Product origin : india Specifications : Average length: 6.10 mm, moisture: 12.50%, broken %: 5%, damage/discolor: less than 1% (max), purity: 90%...Inspection: sgs (or) any other agency as per your requirement for weight and quality as standard operating procedure, quantity: 20 feet container with load ability of 24 tons, port of loading: india, port of discharge: to any port as per requirements, shipment terms: fob/cfr/cif inco terms 2010 as needed by the customer to their port of choice, mode of payment: tt (20% & balance on copy documents / cad through bank), lc, delivery to port of discharge: would be advised as this is a case to case basis but generally 30 - 40 days from the date of receipt of confirmed payment instrument (l/c documents or advance payment). Minimum order size and packgaing details : Minimum order size: 1 fcl 20’..Packing: in 8 x 5 kg, 4 x 10 kg, 1 / 2 x 20 kg, 1 x 25 kg, 1 x 30 – 45 kg or 1 x 50 kg new bopp, pp laminate non-woven fabric, pp standard bags Remarks : As rice is a agro commodity and its price is based on several factors e.G demand & supply, harvesting season etc. Thus the price is very volatile and is subject to change every 24 hours…therefore the price brackets given here are indicative. Pr 11 Steam Rice And Pr 11 Parboiled Rice : Pr 11 or parmal rice 11 is a long grain premium non-basmati rice, grown in the punjab, haryana and uttar pradesh region of india. It is a non-sticky rice after cooking and has uniform grain size. it comes with an average grain length of 6.6 mm 6.8 mm. The elongation ratio of the grain is 1.5 times if cooked well. It is available in raw/ white, steam, sella/ parboiled & golden sella rice forms. Price of product ( usd price or fob price) : 500/- to 515/-- and 500/- to 515/- Product origin : india Specifications : Average length: 6.80 mm, moisture: 12%,broken %: 2% or less (max), damage/discolor: less than 1% (max), purity: 93% Inspection: sgs (or) any other agency as per your requirement for weight and quality as standard operating procedure, quantity: 20 feet container with load ability of 24 tons, port of loading: india, port of discharge: to any port as per requirements, shipment terms: fob/cfr/cif inco terms 2010 as needed by the customer to their port of choice, mode of payment: tt (20% & balance on copy documents / cad through bank), lc, delivery to port of discharge: would be advised as this is a case to case basis but generally 30 - 40 days from the date of receipt of confirmed payment instrument (l/c documents or advance payment). " Minimum order size and packgaing details : Minimum order size: 1 fcl 20’..Packing: in 8 x 5 kg, 4 x 10 kg, 1 / 2 x 20 kg, 1 x 25 kg, 1 x 30 – 45 kg or 1 x 50 kg new bopp, pp laminate non-woven fabric, pp standard bags Remarks : As rice is a agro commodity and its price is based on several factors e.G demand & supply, harvesting season etc. Thus the price is very volatile and is subject to change every 24 hours…therefore the price brackets given here are indicative.